Achievers held its first forum this year on the theme Sanitation for All, All for Sanitation with about 195 students, parents and community leaders from Ahlussuna in attendance. The goal was to educate families and the community at large on the relevance of keeping the community clean. Succeeding this, a clean up exercise (Operation Sweep Clean) was held with over 300 students from various schools willingly participating. 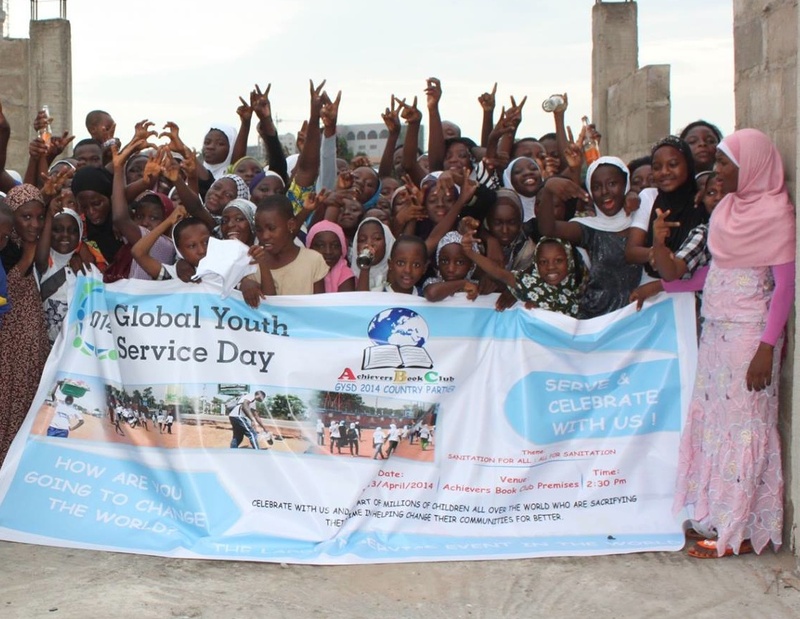 It was both fun and productive, and a great way to celebrate the Global Youth Service Day. This entry was posted in Uncategorized and tagged Achievers, clean up, Forum, Global Youth Service Day, Sanitation. Bookmark the permalink.